Q: What idea do you think you could sell door-to-door or in a remote area? That’s a cool message, and I think people would gravitate toward it. And, if I were to sell it like Elder Price then I would also have an amazing presentation. He sells everything with pizzazz and wholeheartedly. Q: If you couldn’t have a tombstone, what would you like your grave site to be? LT: A dance floor. I would rather that people have fun rather than being sad. And, I’m talking an entire floor. There’d be lights and production. There would be a whole party. Q: Besides when you are on stage, when do you find yourself singing the songs from The Book of Mormon. LT: All the time. I get the songs stuck in my head really easily. I especially get these odd moments stuck in my head, like the instruments that you don’t always hear, but because you’re standing in a strange spot you can hear the synthesizer or the oboe doing a solo. I’ll find myself whistling those solos when I’m at the fridge or in the shower. The song “I Believe” is a song that always really made me laugh and that I thought was really clever. I don’t want to give too much away, but there are such clever word plays in that song, and I’ve always loved it. Q: What’s an office supply you’d like to have a never-ending supply of? LT: I think Post-it notes. They are a lot of fun — just to use them and be able to stick them around places. I don’t often find myself using Post-its, but I like the idea of them. I try to enjoy or make small tedious things as fun as I can, so anything that is a little action — like a Post-it note placed on the corner of a computer — I try to enjoy it. And you can make all different works with Post-its. You can make smiley faces; you can leave messages on the window; the possibilities are limitless. Although to do that, you need a never-ending supply. Q: What is your favorite part of your costume as Elder Price? LT: I suppose the pants, oddly enough. They seem like simple black pants, but they are so meticulously done, as is the rest of Elder Price’s costume. There’s something about the level of care and time that has gone into these seemingly simple pair of black pants. They are always perfectly pressed, and some old Italian taylor made them on me. And they go through a lot throughout the show. All of the measurements were catered specifically to me, but I unfortunately don’t get to take them with me when the performance is finished, so I’m just going to be happy with the time that I do get to wear them. Q: Tell me about an experience that you feel like is hard to describe. LT: My first night performing the role as Elder Price. It was in New York in the Broadway company, and it was my Broadway debut. It was something I had worked and hoped for for a long time — a high school kid’s dream come true. Finally having that night and getting to play Elder Price on Broadway brought up a lot of feelings for me that are hard to describe. It was a really magical night for me because this has always been a dream role for me as well. What’s interesting is that this is one of my larger life’s goals. It seems strange to fulfill the goal, but it also has a sense of relief with it. In a way, I can check this box in my life. I’ve done that now. On top of that, the first time I performed the role I had a good deal of family that was able to come out and see me, so it was a moment for me both professionally and personally. I’m really grateful for it, and I’ve been smiling ever since. 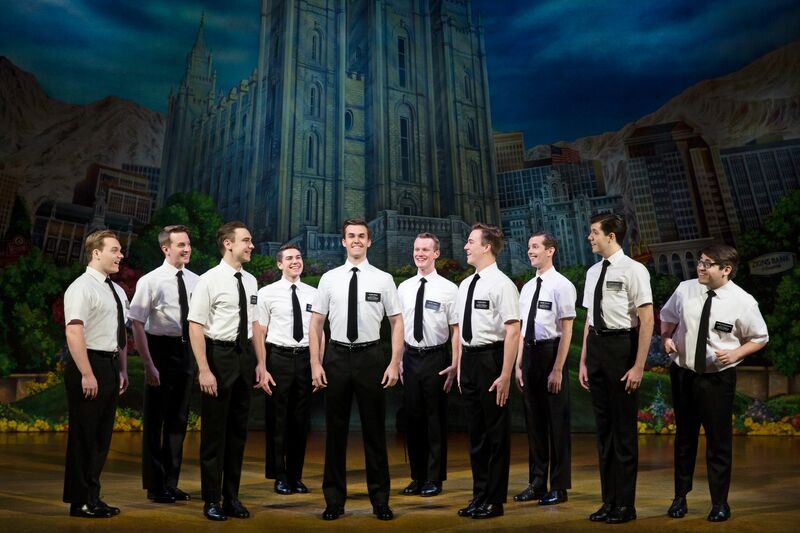 Liam Tobin will be appearing as Elder Price in the Broadway production of The Book of Mormon. The show will be at the Saenger Theater (1111 Canal Street) from February 5 through February 10. 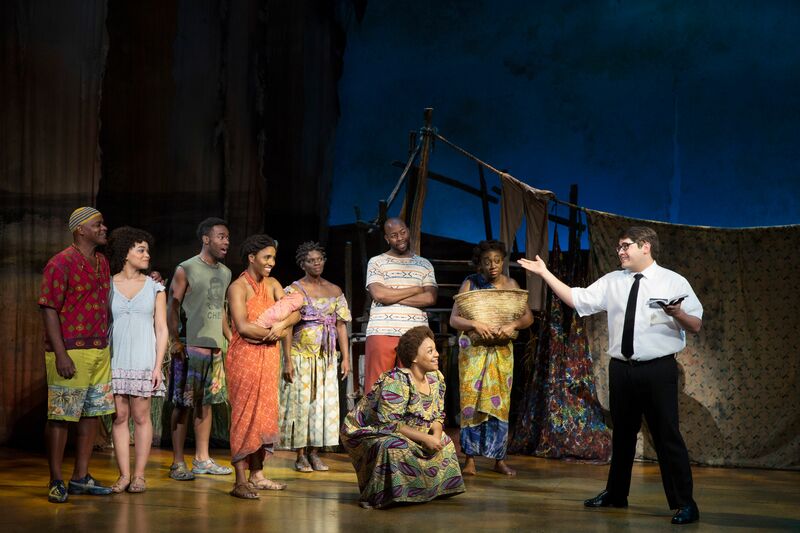 Presented by the New Orleans Theatre Association, The Book of Mormon is part of the Hancock Whitney Broadway in New Orleans 2018-2019 season. Showtimes and ticket prices vary, and you can find both of them here.